The O.S. Explorer Outdoor Leisure 27 covers the area of the Eastern area of the North York Moors (showing part of the National Park and Cleveland Way) on a scale of 1:25000. Outdoor Leisure maps are specially designed for walkers, off-road cyclists, horse riders and all involved in outdoor activities. Map sheet number OL30 in the OS Explorer map series is the map of choice for people visiting the Northern and Central areas of the Yorkshire Dales, including Wensleydale & Swaledale. The OS Landranger Map Series is perfect for day trips and short breaks covering the whole of Great Britain with 204 detailed maps. Each map provides all the information you need to get to know the local area and main tracks and pathways etc. Map sheet number 98 in the OS Landranger map series is the ideal map for planning your day trips and holidays to the Yorkshire Dales including Wensleydale and Upper Wharfedale. The area has much to offer long distance walkers, cyclists and holiday makers. Pathfinder® Guide to Heritage Walks in North East England contains history walks across the length and breadth of the region, visiting historic locations from the World Heritage Site of Hadrian's Wall to the tidal island of Lindisfarne. 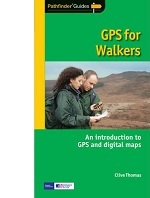 With over 70 titles in the series they offer essential information for walkers throughout the country. Pathfinder are Britain's best-loved walking guides. Enjoy 28 circular walks around the beautiful South Pennines and enjoy the stunning scenery. 28 tried and tested walks in the beautiful Yorkshire Dales, all graded for suitability. This easy-to-use guide, written by experienced mountain leader and navigation trainer Clive Thomas, uses non-technical language to introduce you to choosing and using a gps receiver to enhance leisure walking and make it safer.